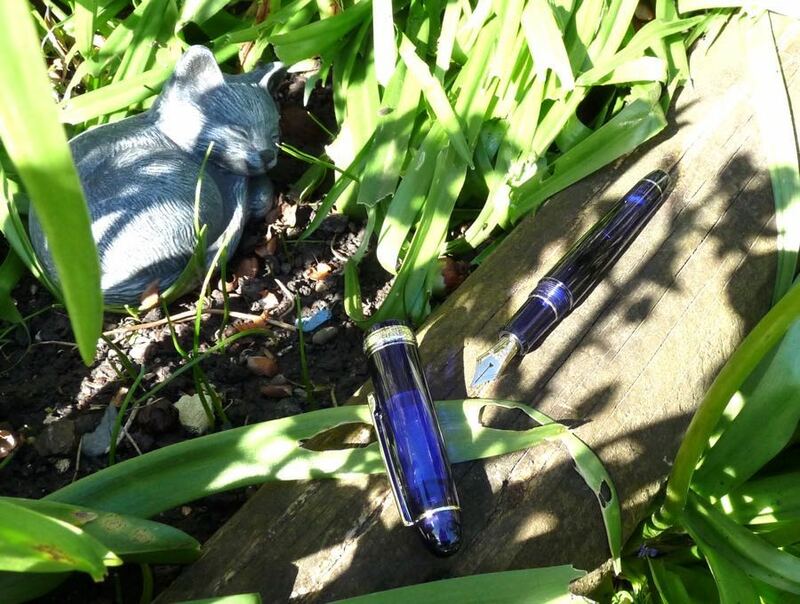 Platinum #3776 Chartres Blue Fountain Pen Review – Pens! Paper! Pencils! 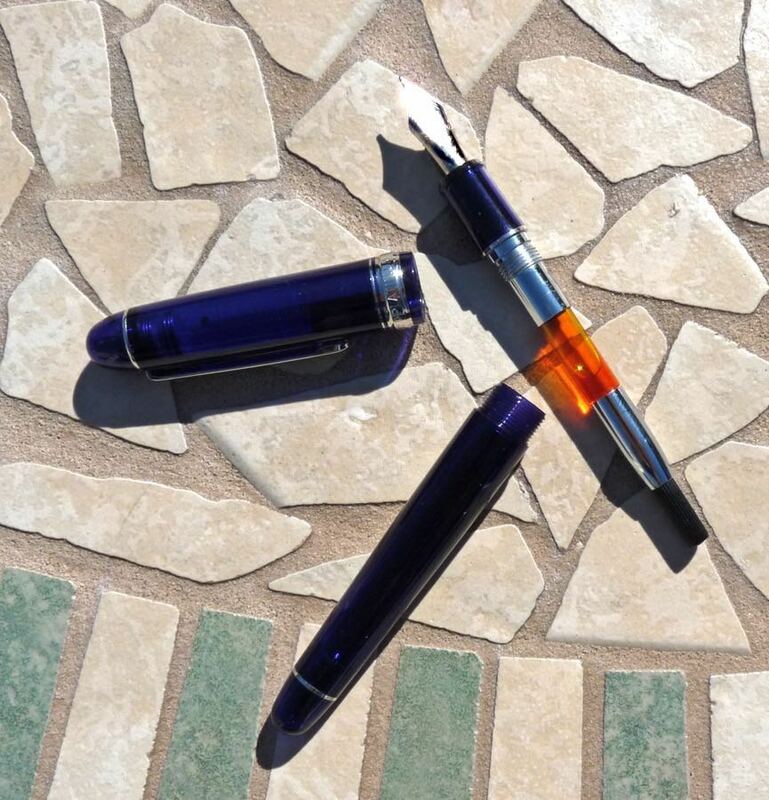 It’s no secret that my favourite off-the-shelf pens are Platinum’s #3776 series. Although they are all quite similar to each other, I’m not going to let that stop me reviewing another one when I love them so much. The #3776 has a classic shape. 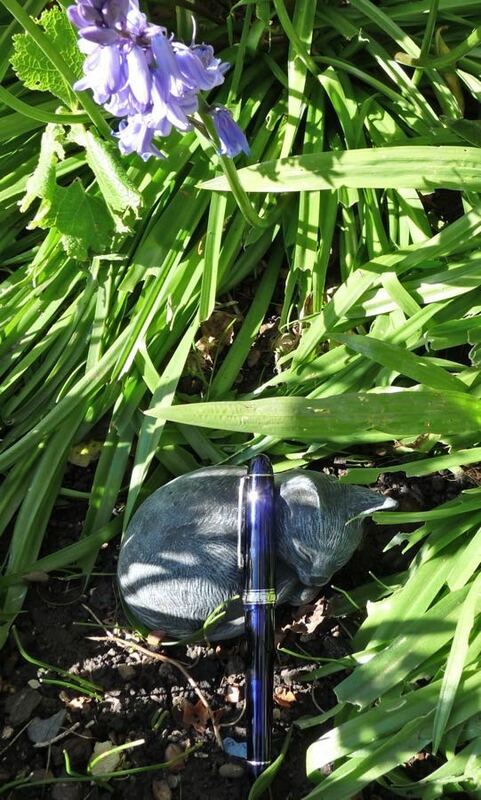 It’s rounded cigar shaped body says, to me, understated sophistication. The translucent blue of the Chartres Blue adds interest. 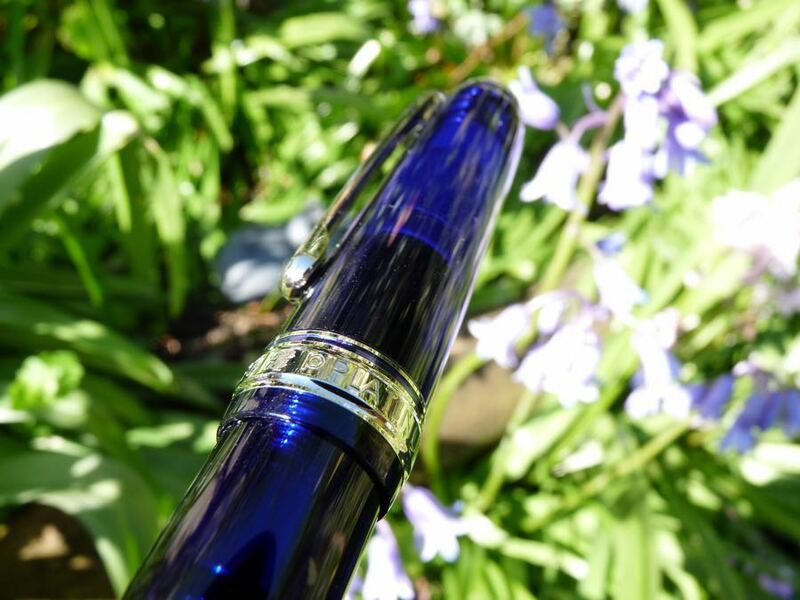 It’s a lovely colour and personally I’m always a fan of pens that are slightly transparent and give a hint of what’s inside. The Chartres Blue is available with gold or rhodium trim. (The gold trim version is cheaper and extremely good value for a pen of this quality.) The rhodium set against the blue is gorgeous. Have I mentioned that this pen is classy? It is. The cap screws closed and pushes on to post. It posts deeply enough to stay put and, being a light pen, it doesn’t throw the balance off. 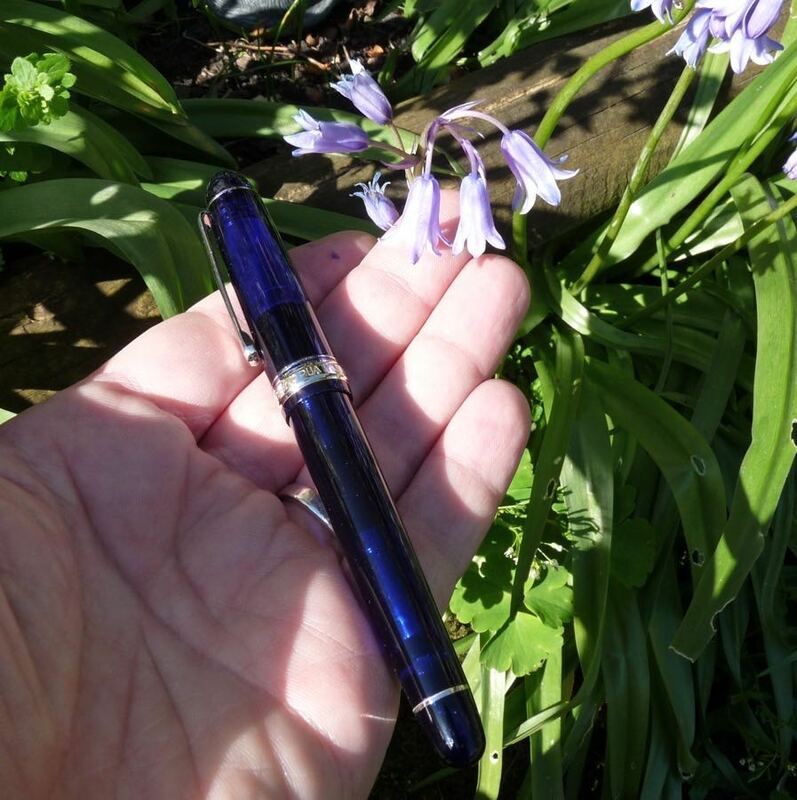 It’s a comfortable pen in the hand: light (but not so light you don’t know you’re holding it), a good length and nicely balanced. The cap uses Platinum’s ‘slip and seal’ system which means it won’t dry out for a very long time. This makes the pen suitable for use with Platinum’s waterproof Carbon Ink. Platinum use their own converters, although there’s a converter to convert the pen to use a standard converter (or cartridge). I haven’t tried that out but I did enjoy writing that sentence. Platinum’s converters, I find, tend to leak a little into the area above the piston. It doesn’t affect performance and they’re easy enough to take apart to clean but it’s a little annoying, particularly when you’re paying this much. This is a pen that speaks to me in terms of looks for the reasons I’ve already stated. 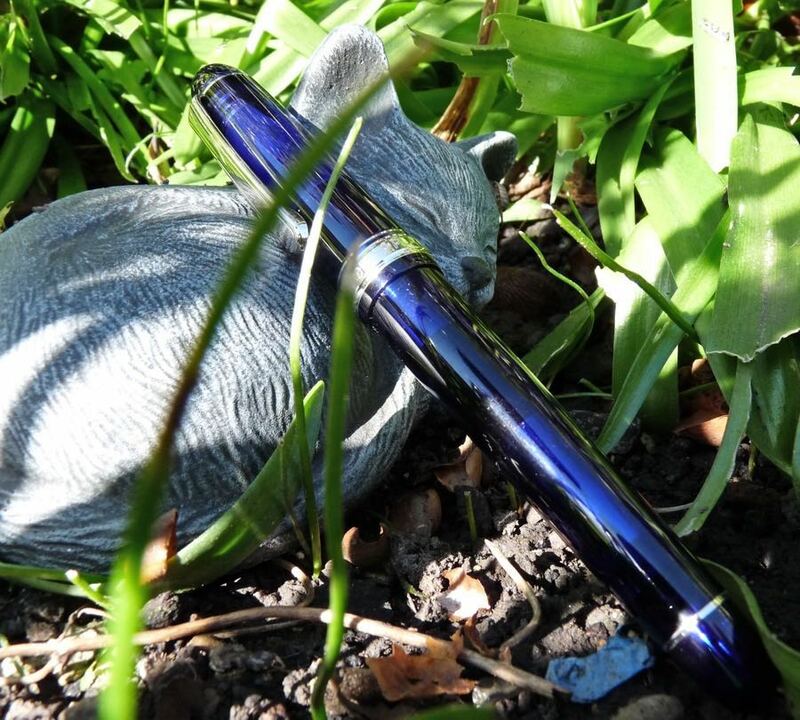 It’s a classic and beautiful looking pen. 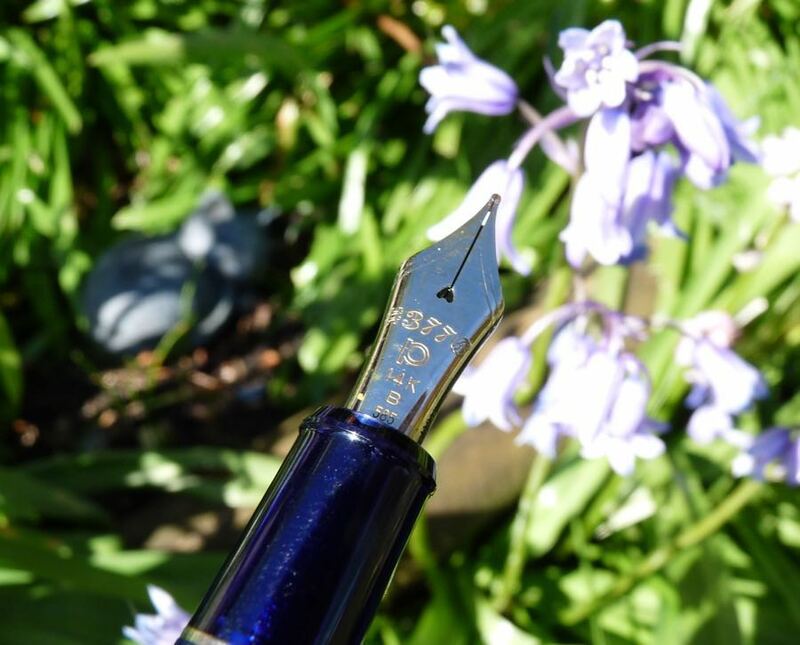 But what makes the #3776 my favourite fountain pen (other than my custom made Twiss pens) is the nib. This pen has a broad rhodium coated 14k gold nib. (All the #3776s use 14k gold nibs.) 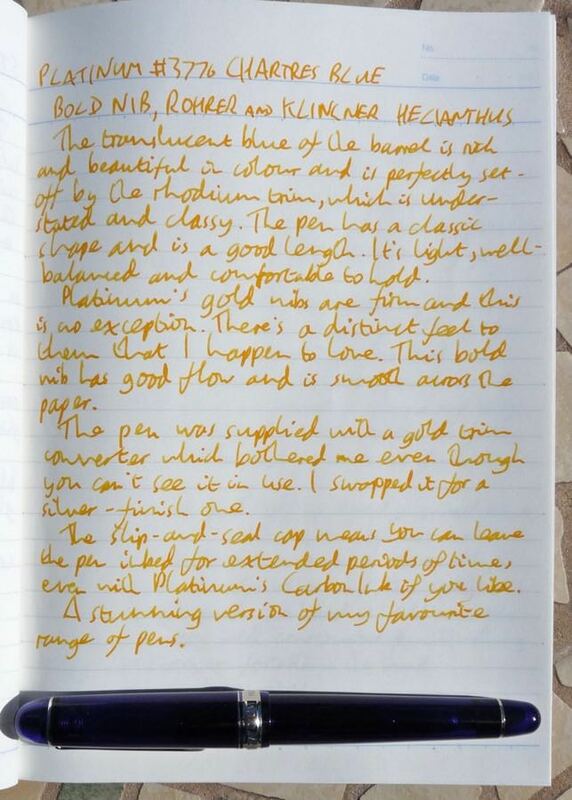 It has a really good flow without being a hose: it puts enough ink on the paper to show off the ink’s qualities. It’s smooth but not butter smooth and it’s quite firm. Only you will know if that makes it a good nib for you. For me, it’s exactly what I want. Smooth with just a hint of feedback, so I know I’m writing on paper. Platinum nibs are my favourite nibs. Platinum’s UK prices make them good value here. They don’t have the same markup as certain other Japanese brands. 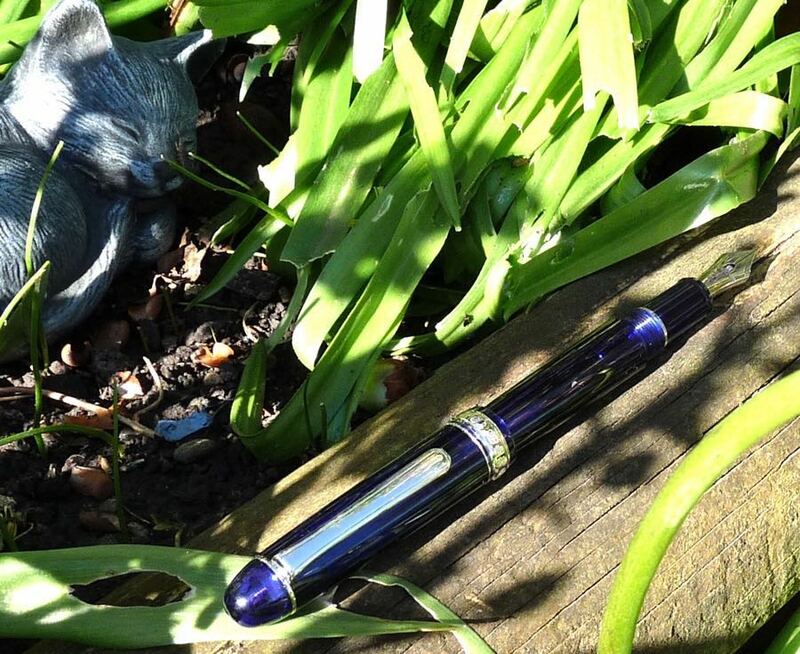 The #3776 Chartres Blue is a good looking pen with an amazing nib. Unsurprisingly, I highly recommend it. You can find some more reviews of Platinum #3776s on Pennaquod. Lovely – I knew the colour was nice, but your pictures have really brought out the stained glass quality of it that the manufacturers talk about. Just stunning.